Organizers of GDC 2011 have announced an affiliated two-day crash course for Scrum development on Feb 28th and March 1st, led by Clinton Keith, author of "Agile Game Development With Scrum." Clinton Keith has over 15 years of experience in the industry, five of which have been spent applying Scrum to video game development. He has worked on titles including Midnight Club, Darkwatch, and Bourne Conspiracy. Organizers of GDC 2011 have revealed a new Blizzard talk on the making of World Of Warcraft: Cataclysm, the all-star competitors for this year's Game Design Challenge, and David Cage lecturing on Heavy Rain's "emotional rollercoaster". As the overall session list for the February/March event expands further, following the announcement of the classic postmortems series and a keynote from Nintendo's Satoru Iwata, new lectures continue to be highlighted. These particular talks are part of GDC 2011's Main Conference, which takes place at the Moscone Center from Wednesday March 2nd to Friday March 4th, 2011 during the San Francisco-based event. The GDC 2011 Main Conference features discipline-specific Tracks dedicated to programming, design, art, audio, business and management, and production. - In an extremely rare public lecture, Blizzard's Tom Chilton presents 'Remaking the World Of Warcraft through Cataclysm', a talk in which the expansion's game director -- also responsible for lead designing Wrath of the Lich King and Burning Crusade discusses "what approach we took, what works, and what doesn't seem to work when tackling the challenge of breathing new life into aging game content." The expansion to the popular PC MMO sold 4.7 million copies in one month after its early December debut. Chilton will discuss how the Blizzard team "rejuvenated aging parts of the game world for existing, former, and new players while at the same time preserving and even enhancing what made the game world special from the start." - This year's competitors for the popular 'Game Design Challenge' session, which focuses around some of the industry's lead designers presenting a game design concept, have been revealed - with last year's winner Jenova Chen (Flower, Journey) taking on Doom and Quake co-creator John Romero and independent game maverick Jason Rohrer (Passage, Sleep Is Death). GDC 2011 organizers have debuted the full Social & Online Games Summit line-up, including talks from Google on Google TV, plus major talks from leading firms like Playfish, Bigpoint, Zynga, and Playdom. The popular multi-track summit, taking place on February 28th and March 1st during Game Developers Conference 2011 at the Moscone Center in San Francisco, presents a series of illuminating sessions about the technology, design, business, marketing, and future of social games. 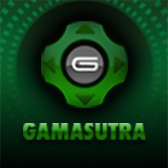 The Summit description notes that "the features and tropes of connected gaming are catching on across the gaming landscape - encompassing Facebook gaming, web-based online games, downloadable persistent MMOs and beyond." "New best practices are being discovered at a rapid pace, and we are seeing more high-quality entertainment experiences on social networks than ever before." Advisors for this particular Summit include track co-chairs Raph Koster and Steve Meretzky from Playdom, as well as EA/Playfish's Sebastian De Halleux, Sulake's Sulka Haro, Making Fun's John Welch and more notables. - In the 'Design' microtrack, notable talks include the always popular 'Social & Online Game Design 2010: A Year in Review' by Playmatics' Nick Fortugno and Joju Games' Juan Gril, as well as Raph Koster on 'social mechanics for social games'. Additional talks of interest in this area of the program include a postmortem of Kabam's popular Facebook title Kingdoms Of Camelot and a look back at the development of Riot Games' extremely popular 'DoTA'-style online game League Of Legends. - The 'Vision' microtrack sees a lecture by Ian Ni-Lewis and Andres Ferrate of Google on "the lessons learned from developing Google's Smart TV platform, GoogleTV" with particular reference to game creators developing social titles for 'smart TVs', as well as a provocative debate, 'Are Social Games Legitimate? ', as Nabeel Hyatt of Zynga and Curt Bererton of ZipZapPlay "go head to head" with Ian Bogost of the Georgia Institute of Technology and Daniel James of Three Rings. Organizers of Game Developers Conference 2011 are reminding that the deadline to save 35% on passes to the upcoming event in San Francisco is Monday, January 24th at 11.59pm PT. - A large range of key one- and two-day Summits, including Social & Online Games, Smartphone Games, Independent Games, Serious Games/Gamification and more, will kick off GDC week on Monday, February 28th and Tuesday, March 1st. These innovative and informative programs are led by advisory boards of industry experts, and speakers include notables from Zynga, Google, the Humble Indie Bundle, MIT, Klei Entertainment, and many more. Monday and Tuesday also see major tutorials, spanning the Game Design Workshop through a Microsoft Kinect developer day. - The GDC 2011 Main Conference takes place on Wednesday, March 2nd to Friday, March 4th and features discipline-specific Tracks specially filtered by the event's expert Advisory Board, and dedicated to programming, design, art, audio, business and management, and production. The GDC 2011 Main Conference keynote is from Nintendo president Satoru Iwata, on "Video Games Turn 25: A Historical Perspective and Vision for the Future", and the GDC News page and specific track pages mention a multitude of Main Conference highlights, which include Epic's Cliff Bleszinski through GDC founder Chris Crawford and beyond. There's quite a huge amount of historical Game Developers Conference audio and videotapes in my to-do pile, so it's been a case of knocking through them as fast as possible, to turn them from decaying analog recordings into longer-lifed digital ones. A few dozen are finished, with dozens more waiting. When you have a historical archive of a bunch of presentations from such a fast-moving field as game development, it might seem to be a matter of dismissing these historical items as "out of date" and then waiting for the latest and greatest. But there's something to be said for listening to well-assembled, clear sessions on aspects of game-making that still hold true. Here's a few issues that have been around for some time, and continue to be relevant. In one notable audio talk we've digitized onto GDC Vault, William Dalton lays out a CGDC 1998 wake-up call that the development environment of games need to bring in the same qualities that software has had for years in other industries. Entitled 'Bringing Engineering Discipline to Entertainment Development', and now available on GDC Vault, he describes what happens when these time-tested best practices are laid in front of the then-still-young computer game development culture. Listening to it, it might be interesting to compare to your own group's practices and see how many points you have already internalized, and how many have been cast aside. Elsewhere, noted puzzle designer Scott Kim's 1997 CGDC talk now available on GDC Vault in audio, 'Games for the Rest of Us' has a really amazing delivery style. As he steps through the current state of the game-creation industry and the type of games that are appealing to a mass-market, he drops asides and wry observations that keep his audience engaged and chortling throughout. Organizers of Game Developers Conference 2011 have revealed an all-star line-up of game developers, from John Romero (Doom) through Will Wright (Raid On Bungeling Bay) to Toru Iwatani (Pac-Man) and beyond, presenting 'postmortems' on the making of some of the most famous video games of all time. The special one-off hour long lectures, part of celebrations for the 25th iteration of GDC, will all take place during the Main Conference of this year's show, held at the Moscone Center in San Francisco from March 2nd to 4th. Some of the other highlights of the sessions include Jordan Mechner on the making of the original Prince Of Persia and Mark Cerny on the classic Marble Madness. In addition, Ron Gilbert is discussing the making of Maniac Mansion, David Braben is talking seminal space exploration title Elite, and Eric Chahi analyzes Out Of This World/Another World. Finally, David Crane discusses the making of Pitfall!, Jason Kapalka looks at his work on PopCap's Bejeweled, and Peter Molyneux presents a lecture on the making of original 'god game' Populous. "Decades before it was a Hollywood film with tens of millions of dollars and hundreds of workers supporting its production, Prince of Persia was mostly the project of a single man. Jordan Mechner rotoscoped the game's fluid and realistic character animations, designed its difficult puzzles, crafted its thrilling sword-fighting combat, and penned its captivating story. He will present a postmortem discussion on the landmark cinematic platformer." "More than just the man who created and designed Pac-Man, Toru Iwatani revolutionized an arcade industry filled with space shooters and Pong clones, introducing a new kind of game that was both immediately accessible and highly addictive. In this session, Iwatani will share how he created one of the world's most successful and beloved arcade games around a circle with a wedge sliced off." Along the way, the organizers have also revealed the return of Tim Schafer, the LucasArts veteran and founder of Double Fine Productions (Brutal Legend), as host of the March 2nd ceremony during the 2011 Game Developers Conference, which is being streamed live online by GameSpot.com, this year's official GDCA media partner. This news comes shortly following the announcement of this year's Choice Awards finalists, led by games including Limbo, Red Dead Redemption and Mass Effect 2. As a passionate creator of video games for more than 25 years and counting, and one of the creators of the 'god game' genre, Peter Molyneux exemplifies the principles of the Lifetime Achievement Award. While at Bullfrog Productions, which he co-founded in Guildford, England in 1987, Molyneux helped to create a string of seminal, innovative 'Britsoft' titles, including beloved games such as Theme Park, Magic Carpet and Dungeon Keeper. Organizers of GDC 2011 have revealed two new Nintendo-related lectures, including 3DS producer Hideki Konno on the handheld's development and a Donkey Kong Country Returns postmortem, plus a rare design lecture from Epic's Cliff Bleszinski. As the overall session list for the February/March event expands even further ahead of the Monday, January 24th early registration deadline, following the confirmation of a Nintendo keynote from the company's president Satoru Iwata. These talks are part of GDC 2011's Main Conference, which takes place at the Moscone Center from Wednesday March 2nd to Friday March 4th, 2011 during the pre-eminent, San Francisco-based event. - Nintendo veteran Hideki Konno is presenting a rare lecture at GDC called 'The Development Process Of The Nintendo 3DS'. This is the first time that the Super Mario Kart director -- who has worked at Nintendo since 1986 -- has talked in detail about his work on the glasses-free 3D handheld gaming system. As the lecture description explains of Konno: "Recently, for the first time in his career, he was assigned the role of overall producer for new Nintendo hardware: the Nintendo 3DS system. Mr. Konno will discuss how he has dealt with the challenges of developing the successor to Nintendo DS while, at the same time, being deeply involved in the software creation process of Nintendogs+Cats as the game's producer." - In his first public game design talk in several years, Epic's Cliff Bleszinski is presenting 'Industry Lessons Learned and Applying Them to the Road Ahead' at GDC this year. He'll be focusing on a multitude of topics, starting with "understanding marketing and PR are not only important to a game's promotion but to its actual design and implementation." This year's Independent Games Summit, which will run from February 28 to March 1 alongside the 2011 Game Developers Conference at San Francisco's Moscone Center has just added a number of new lectures, including from IGF Grand Prize winner Andy Schatz (Monaco), Eliss/Faraway designer Steph Thirion and industry veteran Luke Schneider (Radiangames series). Monaco's Schatz will be presenting a lecture called 'How to Win the IGF in 15 Weeks or Less', explaining how the acclaimed co-op heist game was "entered into the IGF after 6 weeks of work by only one person. It became a finalist in the Grand Prize and Excellence in Design after 11 weeks of work. And it won both after 15 weeks." Along the way, one-man team Schatz "will show how design-by-brownian-motion can not only lead to a better finished product, but a faster schedule as well", as "Monaco's fanciest tech tricks and failed experiments will be revealed." Elsewhere, Radiangames' Schneider will join Vblank Entertainment's Brian Provinciano, Copenhagen Game Productions' Dajana Dimovska, and Nonchalance's Jeff Hull in a talk titled "The Next Steps of Indie: Four Perspectives", which gives attendees "a glimpse into their unexpected paths in the past, and what we can expect from [them in] the future". The four sequential 15 minute lectures will cover Radiangames' one-game-per-month strategy on Xbox Live Indie Games, Vblank's development of a compelling NES/GTA homage with Retro City Rampage, Copenhagen Game Collective's approach on "making the monitor the mediator" with IGF finalist B.U.T.T.O.N., and Nonchalance's Jejune Institute ARG, "the best real-world game you've never played, happening right underneath our noses". When things go obsolete in the technical world, they really go obsolete. They disappear like they owe you something, like they're trying to hide out, lest anybody find them. One moment, an issue or discovery seems like it's going to be the one true way - the next, it's not even listed as an option. Since Game Developers Conference has always been a conference and a conversation about moving forward (with the occasional glance back), it's not surprising that the odd talk would be a wonderfully assembled, well-spoken, insightful presentation about something no longer that relevant. Or, at least, apparently not relevant. Here's a few that went by that got my attention in that theme. With so much software showing up through online delivery these days,Pam Sandbury and Terry Soo Hoo's 1997 GDC talk on video game packaging, now available on GDC Vault in audio form, sheds a lot of usefulness very quickly. That said, it's a great snapshot of what makes a box stand on its own, and with the expectation that online sales will become more and more the norm, and the need to stand out from the wash of other products growing, it likely has some life left in it yet. Organizers of the 2011 Game Developers Conference have debuted a rare Western talk from Deadly Premonition creator Swery, plus new lectures on Rock Band 3's Pro Guitar mode and Pixar's Toy Story 3. As the overall session list for the February/March event further expands, organizers are revealing brand new Main Conference session announcements just debuting on the website. These talks are part of GDC 2011's Main Conference, which takes place at the Moscone Center from Wednesday March 2nd to Friday March 4th, 2011 during the pre-eminent, San Francisco-based event, featuring discipline-specific Tracks dedicated to programming, design, art, audio, business and management, and production. - In his first-ever major Western talk, Access Games' Hidetaka 'Swery' Suehiro will present a talk on his work making cult console title Deadly Premonition, explaining "his unique method of architecting games" with reference to the polarizing action game. 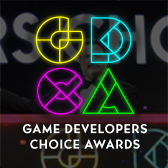 Organizers have revealed the finalists for the 11th annual Game Developers Choice Awards, the leading peer-based video game industry event celebrating the industry's top games and developers. Nominations for games released in 2010 are led by indie developer Playdead's Xbox Live Arcade hit Limbo. The evocative monochrome puzzle platformer, which was winner of last year's Independent Game Festival Awards for Visual Art and Technical Excellence, received seven Choice Awards nominations in all, including one for Game of the Year. The indie stand-out is closely followed by two other Game of the Year nominees, Rockstar San Diego's western-themed open-world adventure game, Red Dead Redemption, with six nominations in total, and BioWare's emotionally-charged science fiction adventure Mass Effect 2, with five nominations. Treyarch's Call of Duty: Black Ops and Ubisoft Montreal's Assassin's Creed: Brotherhood also received multiple nominations, including one each for Game of the Year. And, showcasing the diversity of the 'for developers, by developers' awards, other retail and digital games receiving multiple nominations include Double Fine's Costume Quest, SCE Santa Monica's God of War IIIÂ¸ Quantic Dream's Heavy Rain, Uber Entertainment's Monday Night Combat and Team Meat's Super Meat Boy. Swedish developer Mojang's Minecraft was also a multiple nominee, receiving three Game Developers Choice nominations, particularly notable because of a concurrent-year first: the game is also a finalist for this year's Independent Games Festival, where it also received three nominations. Organizers have revealed that Satoru Iwata, President of Nintendo, will keynote the 2011 Game Developers Conference, held this March in San Francisco. Coinciding with the 25th iteration of GDC, the world's largest professionals only video game event for learning, networking, and inspiration, Nintendo's Iwata will present a major keynote around this milestone entitled "Video Games Turn 25: A Historical Perspective and Vision for the Future." As a leading player during the last 25 years of the modern video gaming era, Nintendo has a unique perspective on what makes gamers grin, what defines the term 'gamer' and what is essential to ensuring industry growth. In this keynote address, Mr. Iwata will talk not only about how video gaming has evolved, but also his views on where we go from here. A longtime friend of the GDC, Mr. Iwata first appeared on the keynote stage of the Game Developers Conference in 2005, where he gave developers the first information about the technology being used for the console then codenamed "Revolution" -- which has since become known as the Wii system; in 2006 where he spoke about "disrupting development," and introduced the Western development community to philosophies on engaging new players; and in 2009, where he debuted a new game in The Legend of Zelda franchise and a host of other notable insights. "We are honored and pleased to welcome Mr. Iwata back to the keynote stage for our 25th conference," said Meggan Scavio, GDC director. "Nintendo continues to innovate and captivate developers and gamers alike, and we're looking forward to their unique insights into both the history and future of the game business." GDC 2011 organizers are targeting 'gamification' for a one-day Serious Games Summit segment this March, including a 'passionate debate' on the utility of the subject with Jesse Schell, Jane McGonigal and more. The second day of the Serious Games Summit, taking place on March 1st during Game Developers Conference 2011 at the Moscone Center in San Francisco, will specifically address the emerging trend with both skepticism and insight. As the advisors explain in the description, the day "will be devoted to the rising trend of 'gamification' - a debatable term and sometimes questionable process of building game-like incentives into non-game applications, to address issues like productivity, health, marketing, and so forth." The centerpiece of the day will be 'The Great Gamification Debate! ', in which some of the leading thinkers in the space, including Schell Games' Jesse Schell, the Institute For The Future's Jane McGonigal, Playmatics' Margaret Wallace, Digitalmill's Ben Sawyer and The Inspiracy's Noah Falstein, debate the contentious subject. The Independent Games Festival has announced the eight Student Showcase winners for the thirteenth annual presentation of its prestigious awards, celebrating the brightest and most innovative creations to come out of universities and games programs from around the world in the past year. This year's showcase of top student talent include slapstick physical comedy adventure Octodad, from DePaul University's Team DGE2, University of Montreal student Richard E. Flanagan's boldly styled Myst-like adventure Fract, and Tiny and Big, an ambitious, comic-book styled 3D action platformer from Germany's School of Arts and Design Kassel. In total, this year's Student Competition took in more than 280 game entries across all platforms -- PC, console and mobile -- from a wide diversity of the world's most prestigious universities and games programs, a 47% increase from entrants in the 2010 Festival, making the Student IGF one of the world's largest showcases of student talent. All of the Student Showcase winners announced today will be playable on the Expo show floor at the historic 25th Game Developers Conference, to be held in San Francisco starting February 28th, 2011. Each team will receive a $500 prize for being selected into the Showcase, and will are finalists for an additional $2,500 prize for Best Student Game, revealed during the Independent Games Festival Awards on March 2nd. 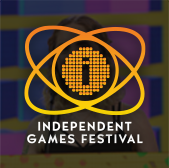 In conjunction with this announcement, IGF organizers are also revealing that this year's Independent Games Festival Awards at GDC will be hosted by Anthony Carboni. Carboni is host and producer of Bytejacker, the acclaimed indie and downloadable game video show and website, and one of the most enthusiastic and devoted followers of the independent game scene.